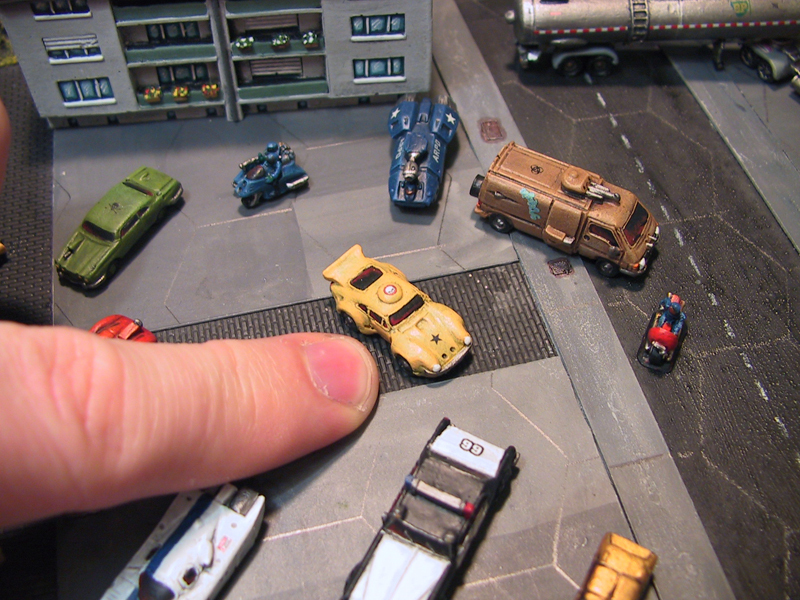 There is a new downloads section on the website with the updated Critical Mass Games starter armies (click on DOWNLOADS tab). 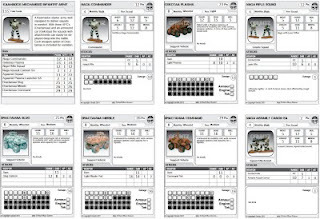 You now get every card you need for the CMG starter army deals in an A4 / Letter landscape page format, the cards are also more printer friendly (Thanks Michiel!) 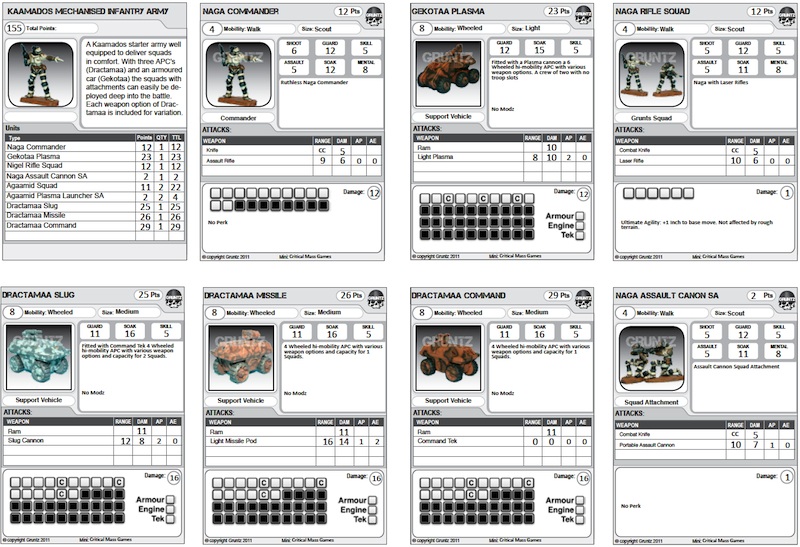 and each PDF starts with a summary of the army and total points. Where an army has multiples of units e.g. 6 of the same squad I have included six of the card so you can quickly label and use them. One of the armies has 2 Okami walker APC's (the new smaller walker due out on Saturday!). I have included the three weapon variants in this PDF, even though you will only get 2 of the model in the starter amy. None of the armies are totally prescriptive, they just match the Critical Mass Games "Gruntz Starter packs", so you can always add more to them. I know my wallet will be crying by the end of the Salute show on Saturday! The points system and stat cards have been tweaked with various play and general feedback from CMG and the group. 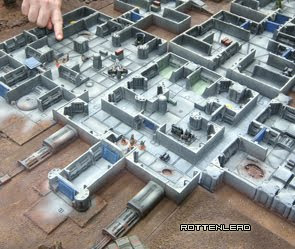 It is looking likely that a good small to medium sized skirmish game will be CIRCA 200-300 pts per side. A light skirmish starting at around 100-150pts per side, although further tweaks could adjust this after I get more play feedback. For those interested we are on stand GJ19 just beside Ground Zero Games and feature a game with both Critical Mass and GZG painted models. You are welcome to join in or just pop by for a browse.